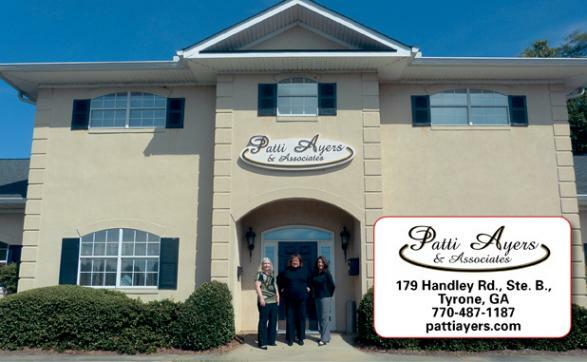 Patti Ayers & Associates is a truly full-service real estate agency. Services include buyer and seller representation, representation for rental properties, and property management services. Patti also purchases and renovates properties. Owner Patti Ayers brings almost 30 years of broad-based experience in real estate and says her small team environment ensures personal service for each client. Patti Ayers has been in the real estate business for almost 30 years and she’s just about done it all. She’s also spent much of her life in Fayette and still has family in the county. 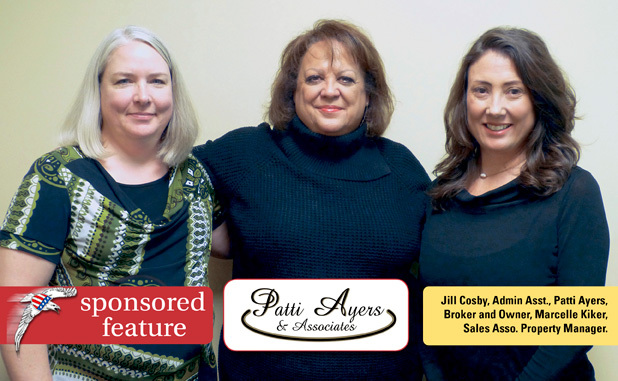 Her company, Patti Ayers and Associates, was founded in Fayette County 17 years ago, so she’s certainly no stranger to the local real estate market. Patti’s family relocated to Fayette in 1969, and she graduated from Fayette County High School before heading to Georgia Tech. Following graduation and an eight-year career at Eastern Airlines, Patti entered the real estate business with the idea of owning her own business one day. She joined one of the largest agencies in the city in 1987, growing her sales year-over-year until she decided to launch her own company in 1999 in Fayette County. The office moved to its new location this April. “Being the owner of the company has also helped me weather the market’s ups and downs because I can respond to changes in demand quickly,” she adds. Patti says her company’s current evolution is a great example. Today, Patti Ayers and Associates offers a full range of solutions for buyers, sellers, renters, and property owners in Fayette, Coweta, and South Fulton counties. The company represents both buyers and sellers and also manages single-family rental property. In addition to these services, Patti also buys, renovates, and resells homes in need of work. “Thanks to our broad-based, long-term experience in the field, we have the relationships and expertise to do it all and do it right,” she says.